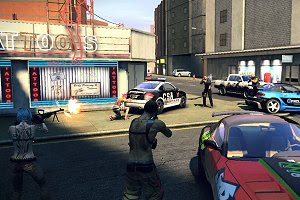 After a brief shelf life, APB was shut down and later bought by GamersFirst, who is relaunching it as APB Reloaded and trying to fulfill on the vision that the original developer had. What we have here is a game with astounding production values and a gameplay that is considered by many to be similar to the latest Grand Theft Auto games. Mixing driving and shooting, APB Reloaded is a free-to-play game that everyone should try.